This is the second of two reviews I'm doing for Colomé, the first one being their 2015 Torrontés. That review explains why I'm kinda beaten down and reviews this month will probably be short and blunt. That's probably a good thing for you because you'll probably be spared my usual shenanigans. What if I told you Colomé's vineyards are among the highest in the world? Calchaqui Valley is in the Salta region of Argentina and one of Colomé's vineyards is at 10,207 feet above sea level. This is why Malbec has embraced Argentina more than any other place in the world: it loves the altitude. 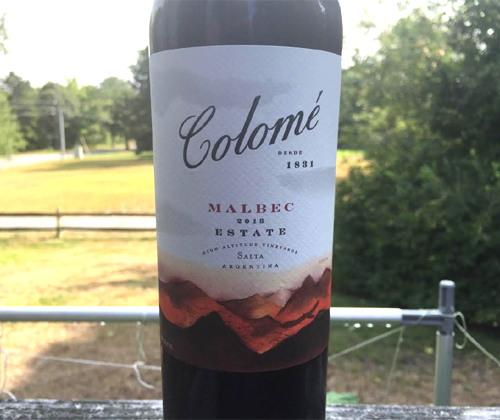 Colomé was founded in 1831, making it one of the oldest working wineries in the country. 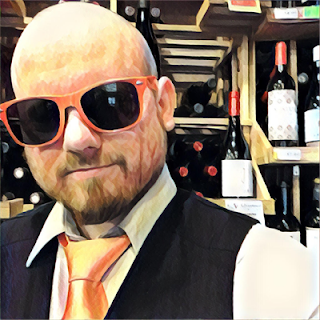 Those original vines were imported from Bordeaux. Its founder was possibly Salta's Governor Nicolás Severo de Isasmendi y Echalar, but regardless if that's true or not it wound up in his hands anyways. In 1854, Nicolás' daughter Ascensión brought in the first Cabernet Sauvignon and Malbec vines in Argentinian history over from France and some of those vines are still producing fruit today. Ascensión was married to José Benjamín Dávalos and the winery would remain in their bloodline for 170 years, when it was bought by Hess Family Wine Estates in 2001. All of the wines Colomé makes are fully sustainable. Four vineyards are used to make the Estate Malbec. La Brava Vineyard (5,740 feet), Colomé Vineyard (7,545 feet), El Arenal Vineyard (8,530 feet) and Altura Maxima (10,207 feet). The wine sees fifteen months aging in French oak, six months aging in bottle, and has a final ABV of 14.5%. The color of the wine is purple. On the nose there's aromas of dusty minerality, cranberry, blackberry, mustard seed and a little barnyard / spoiled milk funk. It reminds me more of a Malbec from Cahors than a Malbec from Argentina. And I FREAKIN' LOVE IT. It has a nose that makes you tilt your head back and give out a really embarrassing moan upon your first inhalation. It's rather big in body for the Malbecs I've experienced lately and it carries a lot of heat. There's flavors of blackberry, cranberry, seasoned tomato, black tea, and fresh plastic. It finishes oaky, spicy and tannic. You could age this a few more years to smooth it out. Entry level Malbec has clearly gone down the pooper in recent vintages. It's become overproduced and thin and just meh, with the exception of a select few (Santa Julia, anyone?). But the varietal is one that will still impress the hell out of you if you're willing to drop more than $20. I really loved this Colomé.